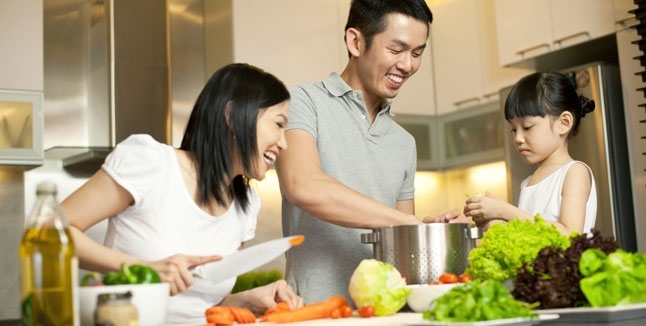 March is National Nutrition Month, an information and education campaign created in 1973 by the Academy of Nutrition and Dietetics to educate Americans about making wise food choices and developing healthy eating and exercise habits. In addition, National Nutrition Month honors the expertise of registered dietitians as the definitive food and nutrition experts. The key to food swapping success is simple: start small. During the first and second weeks, swap just one food from the list below. As times goes on, start swapping 2-4 foods each week. Find the pace that’s comfortable for you, and once you’ve swapped a new food for an old one, continue eating the new food. Using this method, you’ll gradually find that your diet becomes healthier — without causing you a lot of stress. The “swaps” may help you lose weight, feel more energetic and experience the benefits that come from added vitamins and minerals and decrease bloating. Swap fruit juice for whole fruit. Juice can contain added sugars and has none of the plant fiber found in whole fruit. Additionally, drinking juice adds calories without making you feel full, the way fiber-rich fruits do. Change up your salad. Choose raw spinach instead of iceberg lettuce. Iceberg lettuce has few nutrients, while spinach is full of vitamin K, vitamin A, calcium, and iron. Again, iceberg lettuce will leave you hungry; spinach fills you up. Instead of snacking on popsicles, try freezing grapes in an ice cube tray. Frozen grapes are more flavorful than popsicles, and there’s no added sugar! Swap out mayonnaise for mustard! Mayo has 90 calories in just a tablespoon. Mustard, however, is naturally fat-free and has essentially no calories. Choose toast instead of a bagel. A single bagel can pack as many calories as five slices of toast, and if it’s not made with 100 percent whole grain, it won’t fill you up any more than a couple slices of toast. Get rid of flavored yogurts, especially “fruit-on-the-bottom” yogurt. Swap the fruit yogurt for plain nonfat yogurt and add your own fresh fruit. Nonfat plain yogurt has about just 6 grams of sugar: the amount of naturally-occurring sugar in milk. By contrast, fruit-on-the-bottom yogurt can have up to 24 grams of added sugar —four times the amount found in the plain variety. Greek yogurt contains twice as much protein as regular yogurts. Swap out sugary coffee drinks like lattes and frappuccinos for plain black coffee. There are essentially no calories in black coffee, and it is a top source of antioxidants in the American diet. Skip the steamed milk and added sugar. If you need a little sweetness, add cinnamon or stevia. Once you successfully swap these foods, hop online and search for more! If you have questions or would like to learn more about topics related to nutrition, diet or wellness, please contact us.